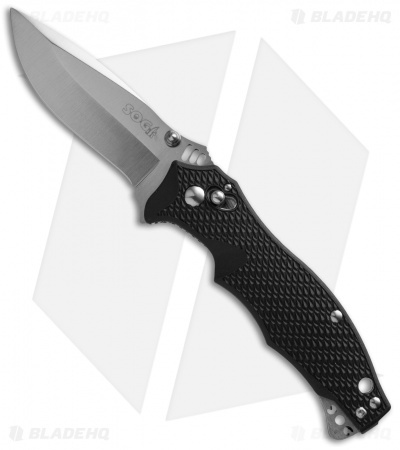 This model of the SOG Vulcan Mini has a satin blade and a black GRN handle. 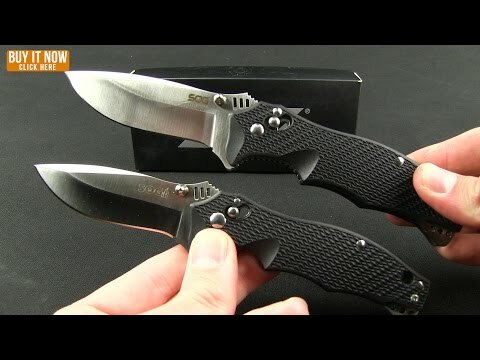 The SOG Vulcan folding knife takes its name from the General Electric M61A1 Vulcan, which is a 6-barrel gatling gun that is commonly attached to a variety of different military fighter jets. Like the gatling gun, this knife is powerful and reliable in any situation. 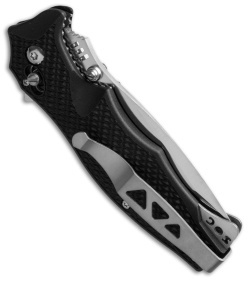 It features SOG's patented Arc-Lock mechanism, grippy GRN handle scales, and a reversible deep carry pocket clip. The integrated flipper tab and thumb studs, paired with the reversible pocket clip, enable the knife to be completely ambidextrous.